Have you ever had a secret so gut-wrenching you couldn’t tell anyone, not even the person who shares your bed? Told from the alternating perspectives of a husband and wife who both have something to hide, this incisive novel pulls back the curtain on a seemingly-happy marriage, posing the question: how much do we really know–and how much should we want to know–about the people we love the most? After five long years, the unshakable confidence Cass Coyne felt as a bride is gone. Her husband, Jonathan, on the other hand, is still smitten. It’s true that the quirks he once found charming in his wife–her high standards, her refusal to clean the dishes–are beginning to grate. But for him, these are minor challenges in a healthy relationship. 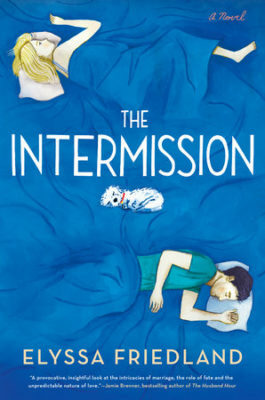 So it comes as a complete shock to Jonathan when Cass suddenly requests a marital “intermission”: a six-month separation during which they’ll decide if the comfortable life they’ve built is still the one they both want.